Home › Free Computer Maintenance › Is Windows 7 More Secure Than Windows Vista and Windows XP? Is Windows 7 More Secure Than Windows Vista and Windows XP? Wondering if the latest Windows 7 operating system is more secure than your optimized Windows XP operating system? Not only has it been shown that Windows 7 is more optimized and secure than Windows XP, even Windows Vista can not compete with Windows 7 in terms of computer security and PC optimization. This of course is ironic because Windows Vista was creating with computer security in mind, some would say to a level what aggravated many Windows Vista users. Windows Vista prompted users to allow even minor registry changes, a process that completely brought the operating system to a stand-still. Windows 7 resolved this infuriating problem without compromising overall Windows optimization or security. Hackers and malicious software developers are constantly looking for security holes in the Windows operating systems to exploit. A computer that is not optimized is a prime target for these types of attacks. Additionally, a computer that runs a popular operating system like Windows XP, Windows Vista or Windows 7 is also an attractive target for hackers because there are so many users who may not have the most up to date security patches. These hackers and malicious programs actively seek out vulnerable computers so it is important to not only have the most up to date operating system but also have that operating system optimized and secure to prevent penetrations from hackers and malicious software. While some may say that Windows Vista is more secure than Windows 7, the evidence seems to point in another direction. Microsoft has reported that the Windows 7 operating system is five times more secure than the ever aging Windows XP operating system and is also more secure than the Windows Vista operating system. How does Microsoft determine this? The software giant recieves reports on how often computers are infected and which operating systems these infections occur in. For every one-thousand computers that run the Windows 7 operating system only four were infected in the second half of 2010. 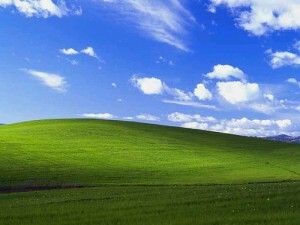 Conversely, during the same period of time 15.9 computers were infected per one-thousand computers that ran the Windows XP operating system. Another way to determine how secure an operating system is would be recording how many security bulletins Microsoft releases per operating system. From November 2006 to July 2008 the Windows XP operating system had 64 security bulletins while the Windows Vista operating system turned out to be a more optimized PC with only 33 security bulletins. While you may have grown accustom to the layout and use of Windows XP you may consider upgrading to a more security computer running Windows 7 unless you want to grow accustom to hacker attacks or other security vulnerabilities.